#1 Short day tour: Sheriffmuir, Gleneagles, (optional Drummond Castle & Gardens "the Versailles in Outlander), Glen Devon, Rumbling Bridge, Castle Campbell/Dollar and the Ochil hillfoots villages,etc. # 2 Short day tour: Ochil Hillfoots villages, Castle Campbell/Dollar, Rumbling Bridge, Kinross/Loch Leven or Loch Ore/Knockhill, Culross, etc. # 3 Short day tour: Campsies/Fintry, Falkirk wheel, Culross, etc. # 4 Short day tour: Scenic route to Lochearn via Comrie and or Crieff/Genturret whisky distillery (or optional Drummond gardens & castle, April to October only), Balquidder/Rob Roy’s grave, Loch Lubnaig, Falls of Leny, Kilmahog, Callander, Doune Castle or whisky distillery, etc. #5 Short day tour: Campsies/Fintry with best local views, Loch Lomond & the Trossachs, etc. #6 Short day tour: Culross, Charlestown/Limekilns, Forth Road Bridge, beach walk, Cramond island, etc. #7 Short day tour: Various Loch Lomond and the Trossachs routes, incl. Queen Elizabeth Forest Park, Loch Katrine, Aberfoyle, etc. #10 Short day tour: Various scenic route options as per tour # 4 and tour # 8 etc. to Loch Tay, Dunkeld, Birnam, Blair Castle, Killiecrankie, Pitlochry, Blair Atholl whisky distillery, the Hermitage, etc. #12 - 1 day tour: As per short day tours plus more time, more stops and sidetrips and additional and alternative options, off the beaten track, etc. #14 - 1 day tour: Various spectacular routes to Oban, coastal views, Appin peninsula, Castle Stalker & Glencoe, etc. 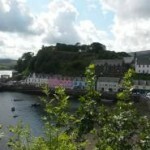 #15 - 1 day tour: Ayrshire coast, Largs, Burns museum & cottage, Dunure, Culzean castle, New Lanark, etc. #16 - 1 day tour: The Borders, Rosslyn Chapel, Melrose Abbey, Scott's view, the original Wallace Monument, Dryburgh Abbey, Eyemouth, Coldingham, St. Abbs, coastal walks, etc. #17 - 1 day tour: As per short day tour # 7 and more, full Loch Lomond and the Trossachs day out with potential boat trip or walk, Glengoyne whisky distillery, etc. #18 - 1 day tour: Perthshire, incl. Loch Tay, Ben Lawers, Glen Lyon, oldest tree, Loch Tummel and Loch Rannoch, etc. #20 - 1 day tour: Loch Lomond, Arrochar Alps, Rest and be thankful, Inveraray, Kilmartin prehistoric glen & standing stones, Argylll coast, Oban, etc. #21 - 1 day tour: Cairngorm nationalpark, Aviemore, Loch Morlich beach and forest walk, Cairngorm Mt. railway, Loch Insh, border collie sheep dog farm, Carrbridge, and in addition awesome different routes going and coming back, etc. #23 - 1 day tour: East Coast towns and beaches, Lunan bay, Dunnottar castle, Aberdeen, Royal Deeside, Glenshee, etc..
# 38 - 2 day tour - Get away from it all Ardnamurchan, Morvern, Sunart, Moidart and Ardgour and as per 1 day tour # 22 (Superb route through the Trossachs via Rannoch Moor to Glencoe, into Glen Nevis, Inverlochy and lots to do and see (walking, ferry, scenic mountains, etc. without the Newtonmore - Southern Cairngorm route on the way back) plus Mull, Iona, Oban and more.. Your own tailormade, personalised, flexible private small group (maximum 8) tour anywhere in Scotland on any of the still available Unicorn Tours dates on our own calendar and the price you pay is per day/driver/guide subject to travel season. You will be best to book as a group of friends of 8,7, 6 or 5 to share the fixed daily costs and the more you are the cheaper the per person tour price. Discover off the beaten track, wild Scotland beyond the guidebook. Explore the finest routes and travel back-roads, where larger coaches won’t go. 10. 22 years experience, etc. In which we get you to Scotland’s remotest corners, including the Northwest Highlands and Western or Northern Isles. You state your accommodation preference (hostel, B&B or hotel) and will email you suggestions. We take you there with 22 years travel experience all over Scotland. Pick up / drop off from almost anywhere incl. from Stirling, Dundee & St. Andrews Uni, Edinburgh, Glasgow, Scottish airports, cruise- & ferry ports, etc. We take you to the best places. Relax, de-stress and forget all your worries in stunning and peaceful surroundings. Easy – if you book today – we are flexible and take you on a tour tomorrow(subject to availability and we suggest to book early if you can). Timings for prices start from pick up location and end at drop off location and exclude entrance fees, accommodation, food, drinks and ferries. We offer something for everyone, spectacular landscapes, bens, lochs & glens, islands, beaches, cliffs & coast; nature & wildlife galore; historic towns, castles, standing stones & ancient monuments; whisky; culture from Outlander to Harry Potter and a lot more. On our 50+ different tours, we cover the whole length & breadth of Scotland, the entire West, North & East coast & beyond – we are specialists for all of Scotland’s off the beaten track places, the Northcoast 500 route, Europe’s last wilderness & go everywhere from the beaches at the Mull of Kintyre or Galloway and across the border to Bamburgh castle in the South, all the way to the unique cliffs & prehistoric sites of the Shetland & Orkney islands in the North – to the Inner Hebrides – Mull, Iona, Skye, etc. & to a magical world apart on the Outer Hebrides – Lewis, Harris, the Uists, Barra, etc., stone circles, island hopping, wildlife, glorious beaches & nature galore. During mid-semester week and public holidays standard tour prices apply. We have a good discussion with you in advance to find out exactly what you wish to get out and take away from the trip. We cater for all interests, including sightseeing, history, castles, nature, wildlife and any activities you chose which could include taking you on some of the most stunning or scenic short walks, showing you the most beautiful wildest and remotest mountains, beaches, visiting some islands etc. If on a Friday your work/last lecture finishes at 3 pm and you are looking to get away for a full weekend tour, we can of course pick you up at 3.15 pm and you would just pay for two and 1/3 days, giving you a head start and by Friday night you could already be watching a Westcoast sunset or be chilling out at your Highland accommodation enjoying the stunning scenery. By opting for a one and 1/3, 1.5, one and 2/3, 2 and 1/3, 2.5, two and 2/3, three and 1/3, 3.5 days tour or so forth we will be able to show you more places at a reduced rate, offer you a greater experience and you are able to include highlights of a longer tour, that otherwise you would be unable to see. If for instance you have Sunday off and only need to be back on Monday at 12 noon, we offer you a one and 1/3 day tour and rate and so forth. We are family-friendly and have 2 adjustable 0-12 year old children seats. If you do have any questions, just ask and we will be happy to help. Unicorn Tours does offer total flexibility.